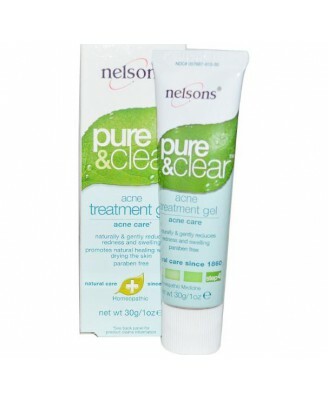 The Nelsons Pure & Clear 4 step acne care system works in synergy to create and maintain clear skin and naturally homeopathically. 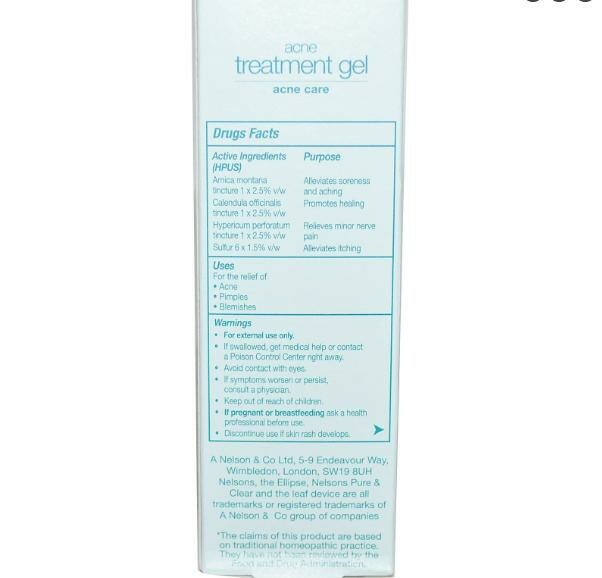 The Acne Treatment Gel is a healing and soothing homeopathic remedy for the relief of acne, pimples and blemishes. 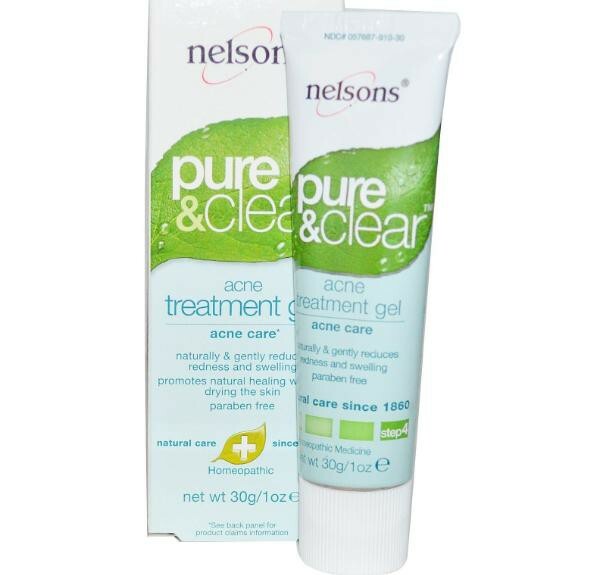 Inactive Ingredients: Purified water, alcohol, tea tree oil, carbomer, methylparaben, trolamine, limonene, linalool. 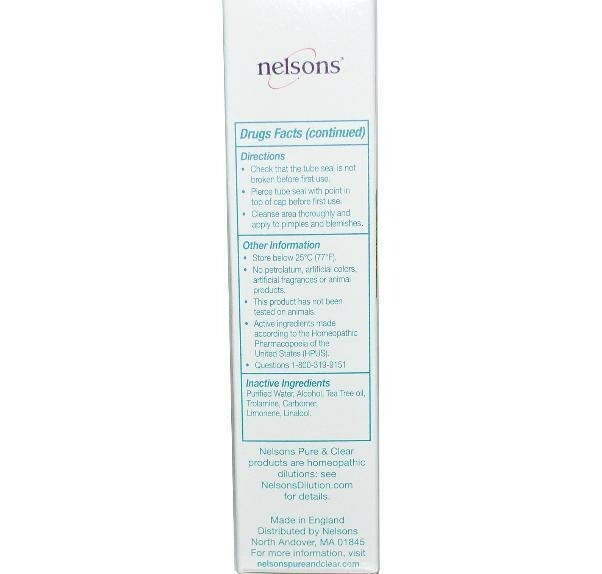 If pregnant or breastfeedingask a health professional before use.